A SHORT AND INCOMPLETE HISTORY OF THE CHUDIDAR, SALWAR, KAMEEZ ETC. India’s links with West Asia date back to antiquity. 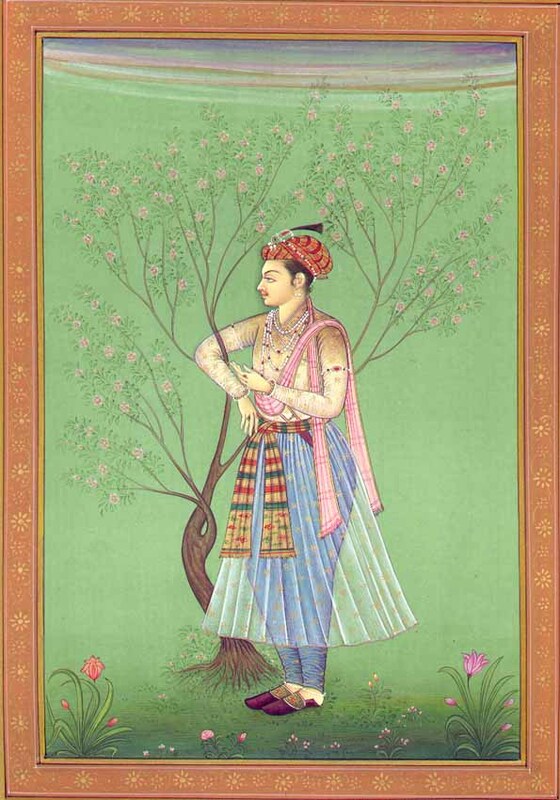 It’s significant influence on attire, particularly in North West India, is probably best documented during Mughal rule, especially from the 17th century onwards. 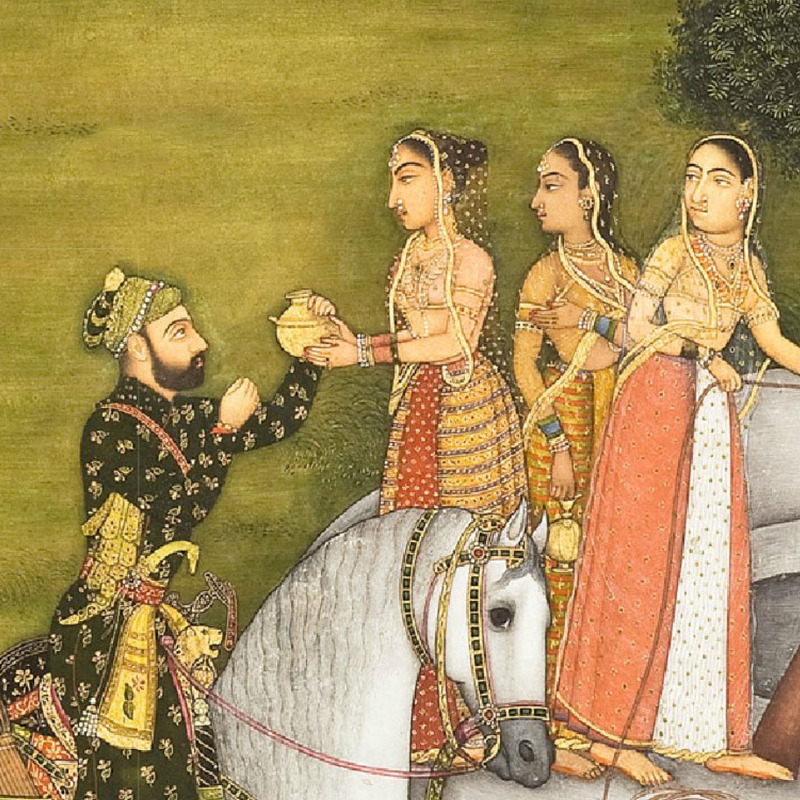 The paintings of this period depict patterned churidars, diaphonous overskirts or jamas (like an overcoat), bodices and dupattas, both for men and women. Also seen in pic 1. Full length ghaghras or skirts, however, also appear in these paintings. While influenced by West Asia, the dress is very much Indianised. In early European paintings of India in the first half of the 19th century, voluminous tunics are common as in pic 2. They are often paired with churidars or more commonly wide trousers. Later paintings and photographs show a variety of styles. Essentially a three piece dress, endless variations were possible by changing the size and shape of the trousers or the tunic. Or even as the case may be the dupatta, which can be a simple stole or an enveloping shawl. The cloth used also varies, from very fine muslin to sturdier cottons and silks. Pic 3 shows the “dancing girl” outfit we are used to which consisted of the chudidar and a tunic that was fitted at the top and flared at the bottom. The flared, skirt like nature of the tunic meant that muslin or chiffon would be used. Pic 4 is of the salwar in the early part of the 20th century, some of the more voluminous ones were influenced by Afghan clothing. As in this pic, the footwear of choice with the garment was the mojari. The garment was also strongly identified with the Punjab (in many parts of India it is still known as the Punjabi suit). Allah Bux painted a number of traditional scenes incorporating women wearing the garment as in Pic 5. The side slit of the kameez (aka tunic), which eases movement, is optional. By the 40s, the salwar kameez was beginning to be seen across India, partly due to the freedom movement, partly due to the movies. Pic 6 shows a style prevalent in the 40s: loose salwars and knee length flared kameez, its embellishments often mirroring western fashions. And possibly these are the early examples of synthetic dupattas. The chudidar of course came into its own in the 60s when it was worn with an extremely fitted kameez and a diaphanous dupatta (pic 7), a style popularised by Sadhana in Arzoo. By this decade it was also increasingly pan Indian, at least in the movies. A southern star like Jayalalitha (pic 8) would probably wear it in a movie to suggest a modern, educated girl. The “matched set” became popular in the 80s. The set often came with printed dupattas as in pic 9. The adaptation of handlooms for the garment also dates back to the 80s, with the revival of the sector woven cotton and silk sets became common. The chudidar was more popular but the salwar was also worn. 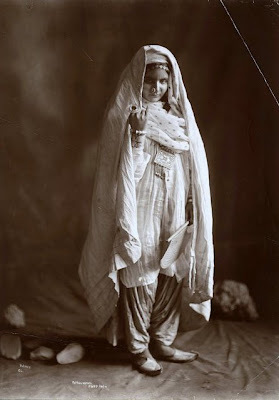 This entry was posted in 18th century, 1940s, 1960s, 1980s, 19th century, churidar kameez, Contemporary, Culture, Early 20th Century, fashion, Girls, historical costume, Indian Dress, Indian fashion, Islamic Dress, Late 19th century, Mughal, Paintings, Pakistani Artists, Salwar Kameez, vintage fashion and tagged 1940s, 1960s, 1980s, Afghani, anarkali, churidar, dupatta, Islamic Dress, kameez, Mughal, Punjabi suit, salwar. Bookmark the permalink. Current Anarkali style must have been from one of the old styles. Do you know which era? The voluminous or floor length kurta – the late 18th/early 19th century I think. But the churidar/tights wasn’t worn as much then, that’s probably late 19th cent. Please ignore my suggestion on a later post, it seems that I was WAY BEHIND with the Reader on WordPress and had missed many of your posts! (Having said that, it is sometimes difficult to memorise what all these new words mean). Not a problem at all! It is kind of difficult to keep track of the terms and I myself had a bit of a problem with trying to keep it all clear!